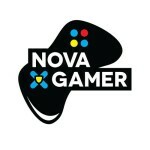 With the launch of the new site up and running we here at NovaGamer have a little bit more free time on our hands. What better way to celebrate the launch with playing video games all week! Here is “What We’re Playing” this weekend! Mark (@cybellin) - With the website up and running I will finally sit down and spend some quality time with my Xbox! I am going to attempt to combat my stack! I am going to start by finishing Far Cry 3: Blood Dragon, then move to Assassins Creed 3. If I manage to knock those two off I am going to start The Last of Us. Austin (JunoMRPB) - Picking away at Shin Megami Tensei 4 and trying to eliminate some of the many titles in my stack, like Ghost Recon: Future Soldier. Daniel (@joker27th) – I doubt I will have any time for gaming this weekend as I am making a move, hopefully things will go smoothly and I’ll be able to squeeze in some time for games!